Global clothing and footwear market is expected to grow at a faster rate during 2015-2020, fueled by growing demand from developing markets, mainly in Asia. In developed markets, such as the US, a change in consumer attitude to seek discounts will fuel demand for value clothing and private labels. Fast fashion will be another factor influencing sales as demand for latest runway designs at affordable price continue to rise among millennials across the globe. Online channel will benefit from these factors, offering lower price, wider product choices, cross-border shipping, and easy payment options. Growing fashion consciousness, rising disposable incomes, urbanization, and increasing access to internet, will underpin growth emerging markets, which are witnessing increased investment from specialist retailers. 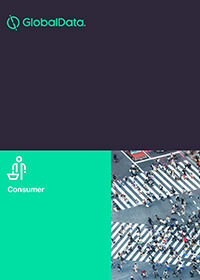 The “Global Clothing and Footwear Retailing, 2015-2020” report, published by Verdict Research, provides comprehensive analysis of global clothing and footwear retail sales across different channels. The report covers current and forecast retail sales data for the category in 50 countries. It also details consumer trends, competitive landscape and latest innovations occurred in the review period.